Reinhardt University is now partnering with Rave Mobile Safety to provide the EagleAlert emergency alert system. EagleAlert delivers important messages to Reinhardt and personal email addresses, as well as text (SMS) messages to cell phones. Click https://www.getrave.com/login/reinhardt or the Eagle logo on the right to access your EagleAlert account. You are strongly encouraged to login to the Rave Mobile Safety site to confirm your contact information and choose your notification preferences. 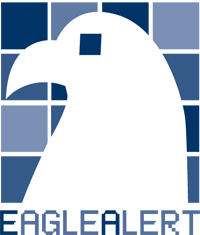 In the event of an emergency or weather closure, EagleAlert provides critical communications to the entire University community within minutes, if not seconds, but it only works well if you take part. This service is a central component of the University’s broader strategy to provide timely and accurate information during an emergency. In the current system, your Reinhardt email is automatically entered for you. If you want the message to go to a different email address, you may provide up to two more email addresses. Please note that your Reinhardt email address will continue to receive EagleAlert messages. Reinhardt community members can add family (parents, spouse, children, etc.) to their account so they are informed about emergencies occuring on the Reinhardt campus or offcampus sites. Only those with current Reinhardt email addresses may be the primary registrant in EagleAlert. To receive text (SMS) messages to your mobile phone, your number must be added to your account with RAVE. You can add up to three mobile numbers to your account. Your cellular phone provider may charge a per-text message fee for the delivery of emergency notifications to your phone. Your number will not be used for anything other than critical information. Contact information in EagleAlert is not shared or sold to third party organizations for advertising purposes. To check that your information is correct and/or to receive an EagleAlert via text or via an email different than your Reinhardt address, students, faculty, and staff must visit the EagleAlert sign in page. Click "Forgot your password?" beneath the Password blank. Enter your Reinhardt email address in the pop-up window within the space provided and click "Submit". A temporary password will be sent to your Reinhardt email address. Use the temporary password to access https://www.getrave.com/login/reinhardt and change your password to something secure but easy for you to remember. You may want to make a note of it in a secure place. You can reset the password at any time using these steps. You can now check your information and add your mobile numbers or additional emails. You can add up to three mobile numbers and up to two additional email addresses for yourself or your family members. The first mobile number will need to be verified.